A few years ago, thanks to my son, I really started to appreciate SpongeBob Squarepants . In the mold of many classic cartoons, it's colorful and silly enough to appeal to kids, but also offers plenty of sophisticated humor and allusions for teens and parents. One thing I realized right away, though, was that Squidward seemed somehow very familiar. As an English teacher, I recognize that archetypes are present in all forms of storytelling, but Mr. Tentacles seemed to remind me of other characters in very specific ways. The nose, the eyebrows, the overbearing manner, and the fascination with minutiae that most people would find dull. 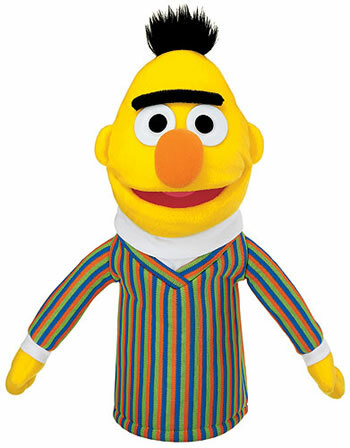 I couldn't help but be reminded of Bert , that paper-clip collecting, pigeon-dancing curmudgeon. Could that bulbous nose and those scrawny arms, coupled with the killjoy attitude, just be a coincidence? Or maybe it wasn't Bert, after all, who inspired Squidward. 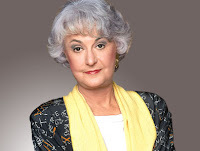 A few months ago, I somehow found myself watching a Golden Girls marathon on TV Land, when another connection occurred to me: Bea Arthur. The character of Dorothy, played by Arthur, is described by Wikipedia as "strong, sarcastic, sometimes intimidating" - and who can deny the physical resemblance? 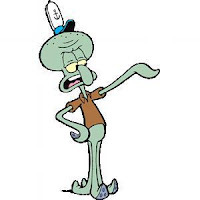 Do you have any other Squidward connections?